The President Must Demonstrate Honesty and Integrity – He Isn’t! The President must demonstrate the honesty and integrity we expect of our leaders while rejecting bigotry. Ahhhh! An articulate, knowledgeable, & capable candidate! So refreshing and confidence-inspiring! Thank you so much for running! America needs Evan. America needs positive change in the political realm, not more evil. America needs a man who loves America in his heart and speaks from his heart, not someone who wants the office as a notch on their belt. Evan offers America a freshness that is uncompromising, principled, integrity based and morally great. Compare those words to these: But The Donald comes on, that orange pumpkin face fills the screen, and you stop to listen to what new outrage gushes forth from his lips. It does not matter if what he says is false. That Trump lies on a regular and dismal basis is no longer a question. Or we can compare it to words like this: Sure, paring down Clinton’s resume of lies and exaggerations is no easy task, but we decided to go with 7 to match the number of deadly sins, many of which the Clinton family is guilty of as well. Benghazi – Clearly the most reprehensible lie of them all – Clinton failed, to tell the truth about a terrorist attack that killed four Americans in Benghazi. So we have the so-called leaders of the GOP and DNC screaming to support their candidates. Well, here it goes. I support the lies and rapes of Donald Trump to be brought to the light so every American can see the filth under the layer of shenanigans he uses to hide from the truth. I support the legal fines for Donald Trump for abusing the HB1 program to rip the American workers off. I support the use of the RICO act and racketeering investigations of both the Trump campaign and the GOP for their threats, bullying and lies about other candidates. I support the investigation and imprisonment of any politician who has covered up the lies and conspiracy to rip off Americans in the tune of 41 million dollars on a fake university. I support the CIA and FBI to investigate the Russian and Trump alignment and agreement to control the American political system. Oh, and Hillary, do not worry, we also support the RICO act and racketeering you played to beat Bernie Sanders in this election year, up to the Convention. We support the imprisonment for your illegal email scandal and hiding of government documents that you had on your Hubby’s server. We support the investigation and imprisonment of anyone who was involved in the refusal to attempt to save the lives of the Benghazi 4. Every American supports the efforts to remove either Hillary Clinton or Donald Trump from the candidacy of the President in the year of 2016, and we support their efforts to do so! The Independent Constitutional Americans have had enough. We will not vote for a lesser of two evils. We stand up strong, proud, full of principles, integrity, and moral fortitude and state “remove the EVIL from American politics today”! Our MOTTO “Value Your Vote! Vote Your Values!”Vote for Evan Nov. 8, 2016. He’ll be on the ballot in at least 42 if not more states. Check his name on the ballot or check write-in. Then write-in his name. 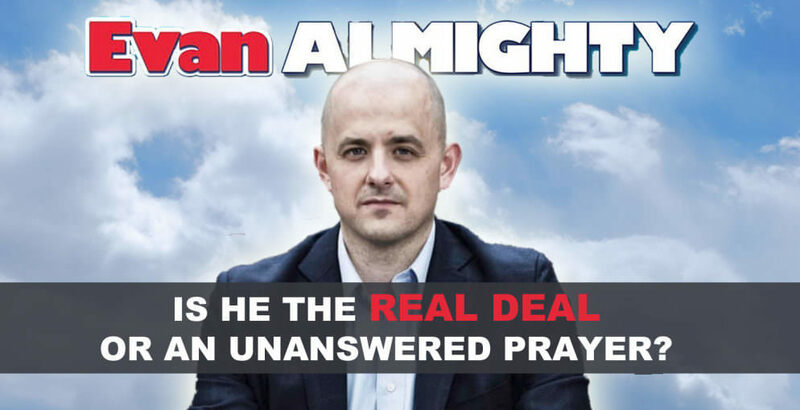 Evan McMullin chose to help America and gave up his job in the Republican House Conference as a policy advisor to legislators in order to come to America’s aid. Now we will stand up strong, loud, and without hesitation to support Evan McMullin. He is a freedom loving, America defending Constitutionalist that speaks from his heart, while giving grace to God and Country for the blessings he and America enjoy. “I live in Europe, and we are just so , relieved, that there is an alternative…”, ” Evan talks about policy and the problems America faces with understanding and intellect. This is the kind of leader America needs!” “any of the clowns running for prez talking like this and addressing these issues? …. Of course not! This one is a keeper!” ” Very clear, rational and well-articulated positions and responses! There is another option this November, and a sane & credible one at that!”. Just a few of the comments on Evan’s major American foreign policy and national security leadership. The event is was hosted by Georgetown University’s Institute of Politics and Public Policy. Like JFK… Evan is a New Generation of Leadership, I can’t even believe anyone would prefer Hillary, Trump, or Johnson for president instead of this man ! He’s clearly the most knowledgeable candidate. ” If we don’t Stand for something, we will fall for anything”, stated Evan during his speech. McMullin has integrity, something that is missing in other candidates. He has high moral standards and understands deep political issues. Evan McMullin is charismatic! He also is brilliant, articulate, pro-life, fiscally responsible! strong on national defense, a diplomat, Millenials-embracing, working hard for us to be the leadership of a new generation! IT is truly time America stopped trying to decipher which is better of the evilest in Americaand took the high road this election year. There is truly a REAL CHOICE this year, and it is EVAN MCMULLIN.